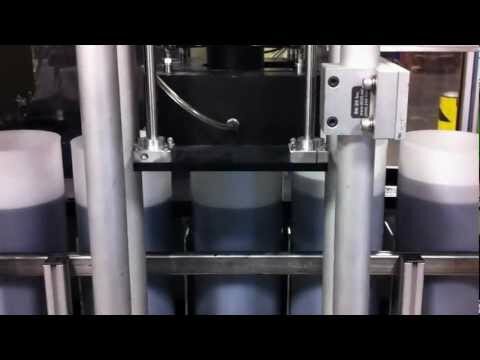 Highly automated universal cartridge filler for the ink industry to fill 4.4lb and 8lb cartridges by weight, and with minimal changeover time. 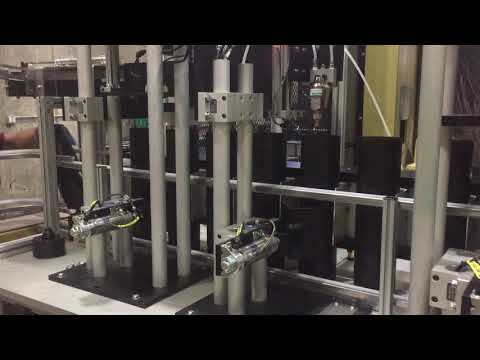 It is universally adaptable to process a wide range of cartridge geometries, with toolless changeovers in 10 minutes or less. 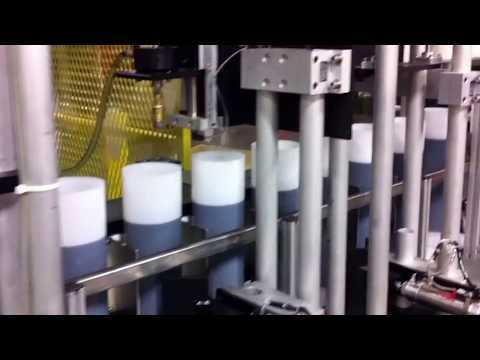 Fully automated design with built in flexibility to fill by weight and selectively spray cartridges (pre and post fill) with antioxidant. 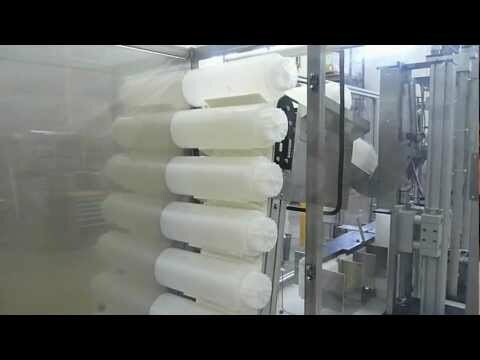 Equipped with a high volume cartridge hopper, a plunger accumulator for continuous and uninterrupted processing, and an integrated labeling station.